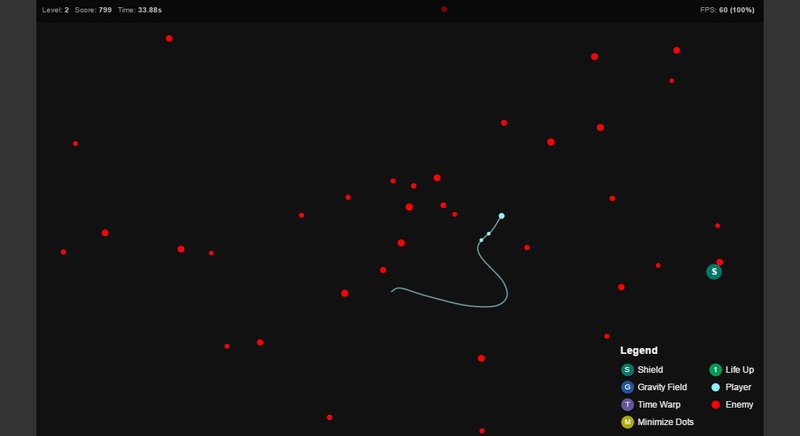 Sinuous is a simple yet addictive game created using HTML5 by Hakim El Hattab. A game with a single objective: avoid colliding with the red dots. You can gain power-ups by picking up the the bigger non-red dots such as for slowing down the game speed and magnetic force field around your cursor. Do try this HTML5 game and see how many levels you can last!